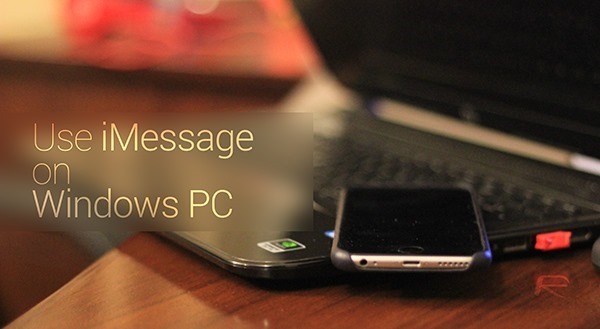 Here’s a complete guide on how to get iMessage for Windows PC. More details on how to setup and use with step-by-step guide can be found after the jump. iMessage is a very secure, fast and generally reliable instant messaging service, but because it’s created and hosted by Apple, you can only use it on Apple devices. This is quite limiting, particularly if, say, you run a Windows PC, but thanks to the admirable work of the jailbreak scene, there are ways around this problem, and below, we’ll be showing you step-by-step how you and your jailbroken iOS device can begin using iMessage via Windows. Step 1: Open up Cydia and search for Remote Messages. There are versions for iOS 7 and iOS 8, so pick whichever is applicable to your software version. Pay the $3.99 asking price and install. Step 2: Once the process is complete, navigate to Remote Messages in Settings, and create a username and password under ‘Use Authentication’, which should be toggled ON. 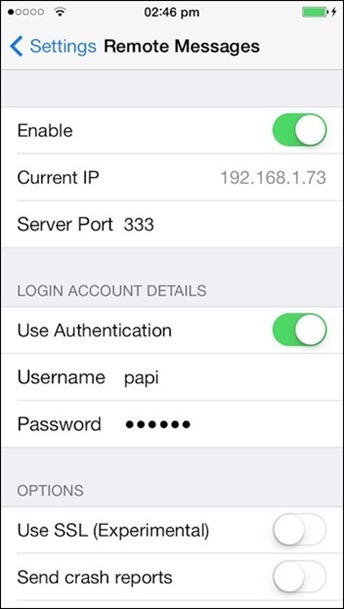 Step 3: Provided that your iOS device and Windows machine are connected to the same Wi-Fi network, open your browser and enter the IP address as shown under the ‘Enable’ toggle. After you’ve entered the IP, you’ll need to enter a colon, followed by the server port as shown beneath the IP address in Remote Messages settings (will be ‘333’). Step 4: Setup is complete! 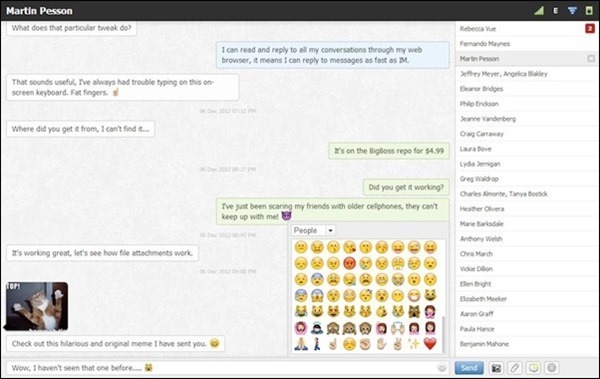 You can place your device into sleep mode and respond to messages right from your browser. Sure, it’s re-routing rather than being a genuine iMessage client like on Mac, but given how much easier it is to type on a desktop, this tweak is well worth the four-buck asking price. So, give it a whirl, check the tutorials below if you haven’t already jailbroken, and be sure to let us know how you get on by dropping us a line in the comments. Been using this since way back in iOS 4. 🙂 Great, long-term support, with either free or discounted updates. Awesome team. does the tweak have a big impact on battery life? Curious what happens if I were to set this up at home (on my home network) and then try to use my PC to massage once I was on campus. Would being on a different network other than the one used to set it up cause issues? what if my phone is dead, will it still work? Very nice, it is working good. What will be the benefit of iMessage than AI. Because AI is implemented every industry to reduce error and work 24/7 with high quality applications.